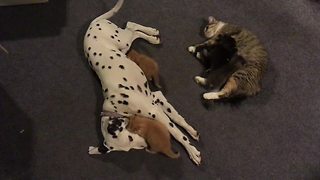 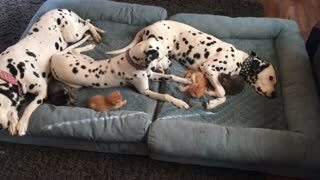 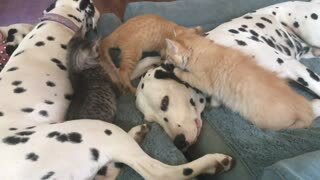 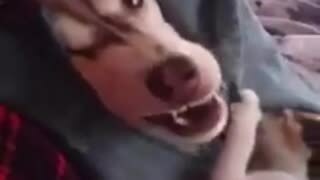 Rumble / Funny & Cute Animals - This is the adorable moment a friendly dalmatian attempted to play with a tiny kitten. 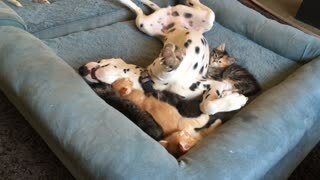 Perhaps understandably, the kitten appears a bit overwhelmed by the advances of the large dog. 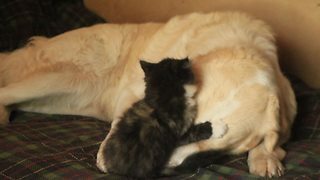 "My dog called Bruce is so friendly... but the kitten didn&apos;t understand his feelings," said the filmer. 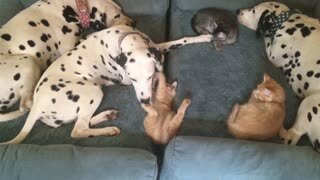 The adorable moment was filmed in Chennai, India last month.